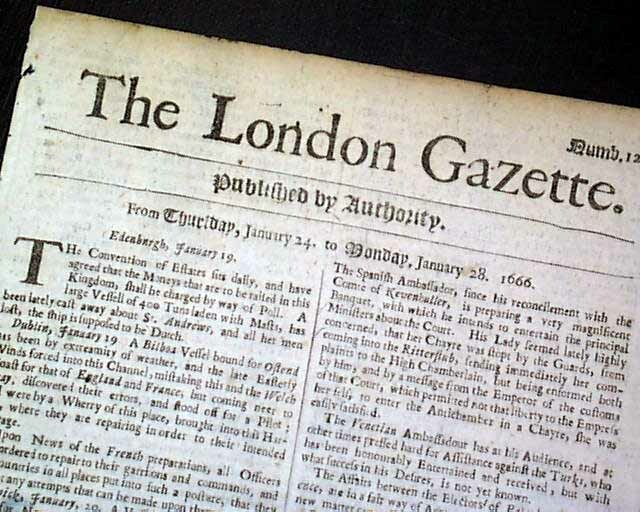 THE LONDON GAZETTE, England, January 28, 1666 (actually 1667 by today's calendar). 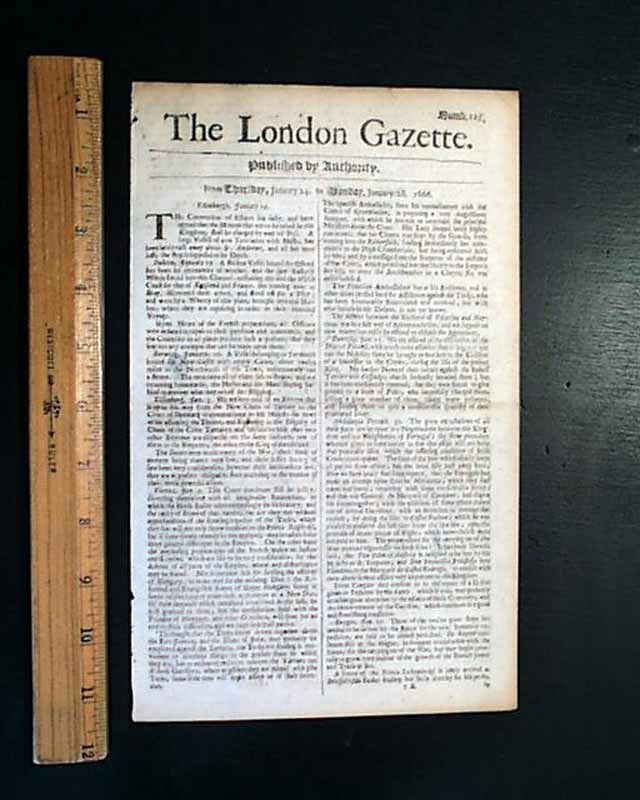 It is very rare to find any period mention of the great London Fire of 1666 in newspapers of the day, certainly one reason being the dearth of publications in print at that time--very few beyond the London Gazette. 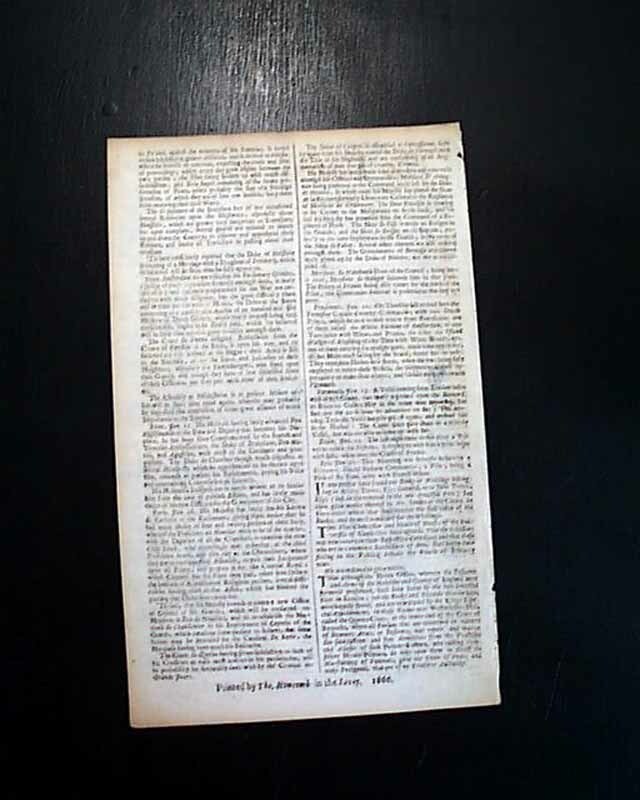 The back page of this single sheet newspaper includes: "If any person have found any books or writings belonging to Arthur Tevor Esq. 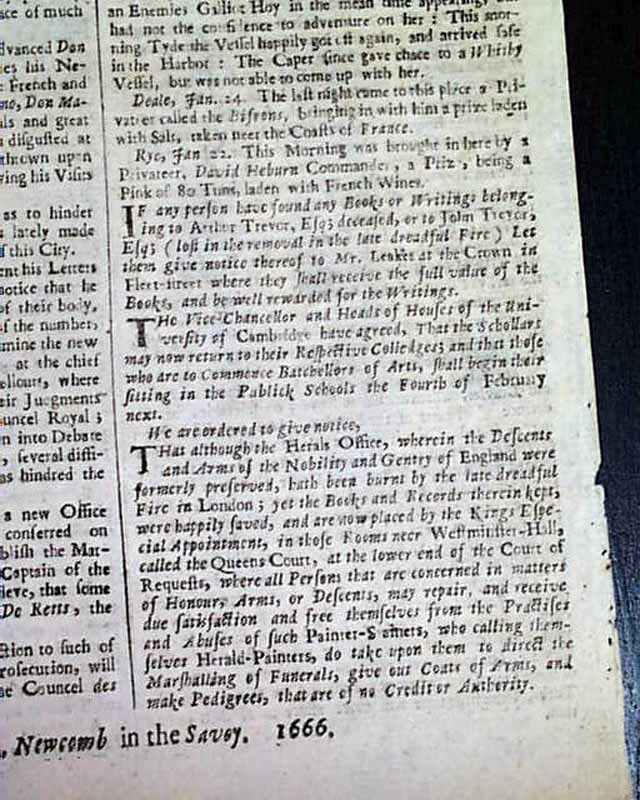 deceased, or to John Trevor, Esq; (lost in the removal in the late dreadful Fire) Let them give notice thereof to..." and further on is: "We are ordered to give notice that although the Herals Office, wherein the descents and Arms of the Nobility and Gentry of England were formerly preserved, hath been burnt by the late dreadful Fire in London, yet the books & records therein kept were happily saved..." (see). The complete issue and in very nice, clean condition. A rare issue with much desired content.